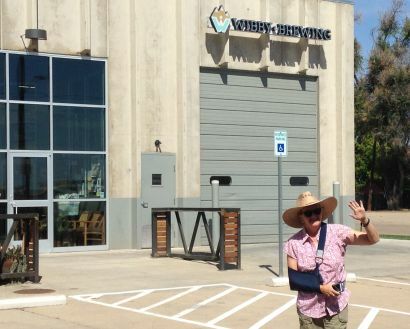 After a wonderful, brief visit to 300 Suns Brewing in Longmont, wife Persimmon and I decided to go across the tracks...literally...to visit Wibby Brewing. It was still early and we anticipated getting into Boulder for dinner. 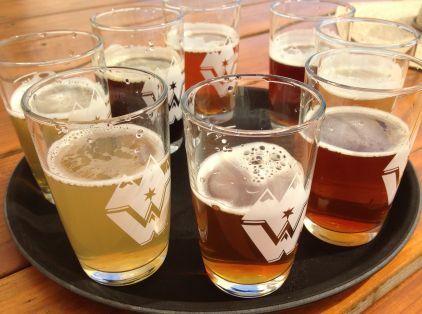 Wibby Brewing looks to located in a one-time garage since it sits right next to the railroad in warehouse acreage just a few feet from a residential area. The experience at 300 Suns were incredible and, although we try not to judge, we were hoping for a similar time at Wibby. I do not believe in hope. It is as useful as guilt. I have not changed my mind. 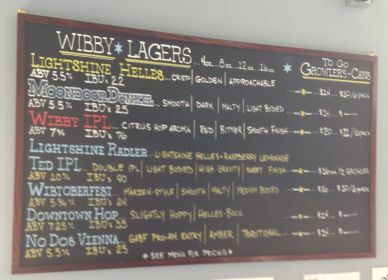 Wibby describes itself as brewing nothing but lagers, those beers harder to cook since they need to ferment in colder termps for the yeast to work. For that I applaud the folks at Wibby...but unfortunately I can not do the same for their beers. Although it was special to see a Dunkel on tap as a year-round brew, the Wibtoberfest, the Helles, the IBL's...all were overly-hopped to the point of being un-drinkable. Wife Persimmon is especially sensitive to the hop aroma which she describes as dry straw. I've stated many times, I am not a fan of palate-scorching beers; those 100+ IBU brews that, for whatever asinine reason so many people praise and raise way too many steins. Too much of anything is, as the Great God Carlin once said, "bad for ya." I'm fully aware of being in the minority here but riddle me this, Batman; if you only want the taste of hops in beer, what's the point then of using adjuncts to make vanilla, chocolate, coconut, raisin, date, fig and other beers? Take it one step further and don't you come to the conclusion that all beers would then taste the same? One just more hopped than the other? And isn't that the reason craft beer exploded? So our Frigadere's were stocked with Falstaff and Hamms and Olympia? 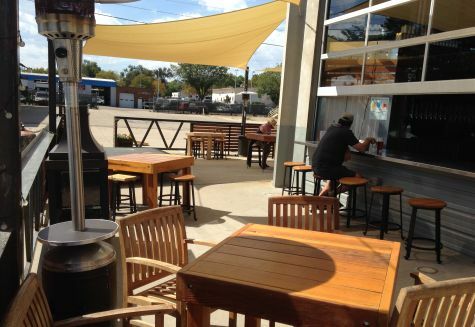 Wibby, as other breweries, must - MUST - carve out a niche for itself in the microbrew arena but it seems that so many try to be 300 pound tackles instead of 190 pound quarter-backs. In Wibby's case, I think it's a "hut - hut" fumble.